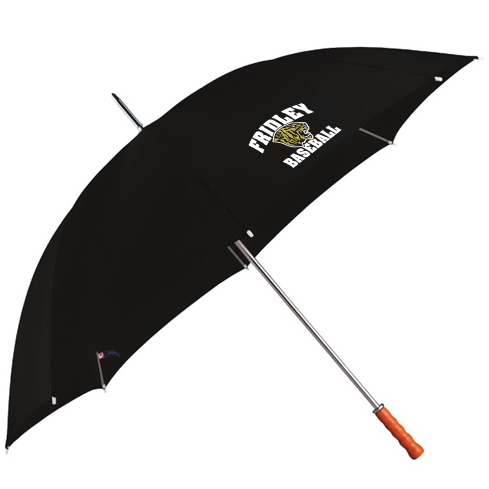 Full-size golf umbrella. Manual opening. Large polyester canopy with matching color case. Sturdy metal shaft with large wood handle.